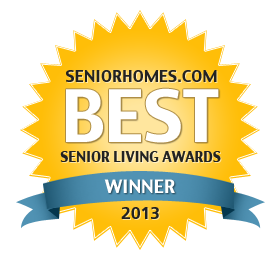 Thanks to my friends and followers, I am the WINNER of the Most Influential Caregiver award in the Best Senior Living Awards 2013! I greatly and humbly appreciate your votes and belief in my mission and journey to help and support other caregivers and those living with Alzheimer’s disease. I hope my words continue to educate those unfamiliar with the illness as well as continue to encourage, uplift and reassure those on the love-giver’s walk. Again…THANK YOU for your support! !